The elegant chronograph gets the blue and gold treatment. 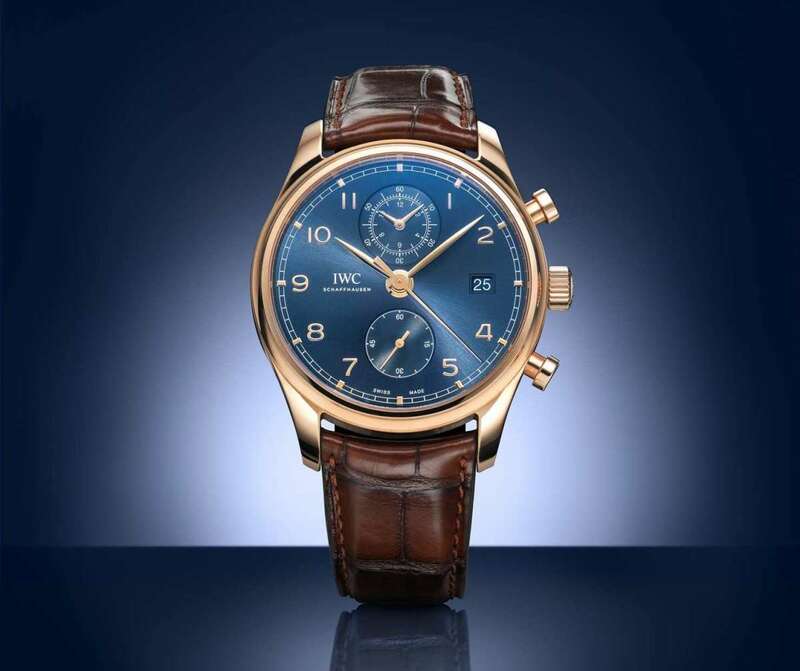 Swiss watch and jewelry dealer Bucherer has announced its latest member of its Blue Editions series, an IWC Portugieser Chronograph Classic. Definitely one of the most elegant chronographs available today, the Portugieser receives an 18K red gold 42mm case with a blue dial that&apos;s also decorated with red gold hands and red gold numerals. 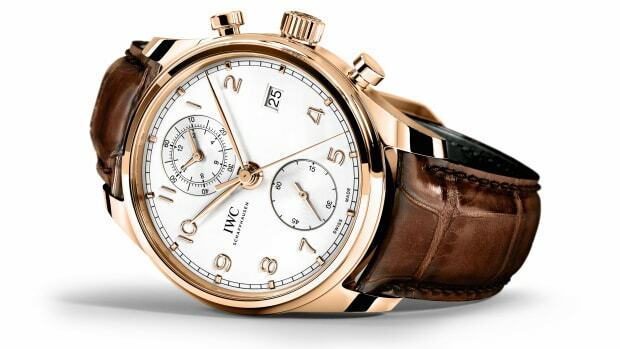 Movement is the IWC 89361 automatic and each watch is fitted with a brown crocodile leather strap. 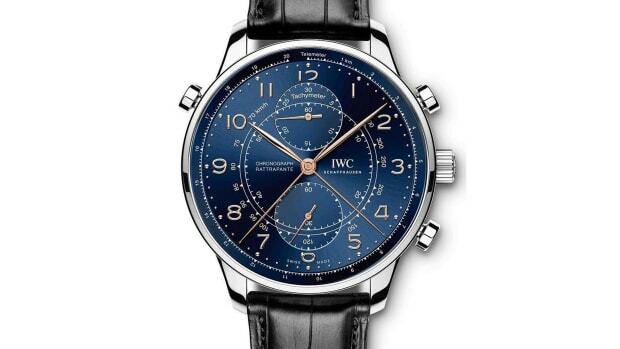 The Blue Editions Portugieser is available now and will be limited to 88 pieces. The updated design gets even more elegant. 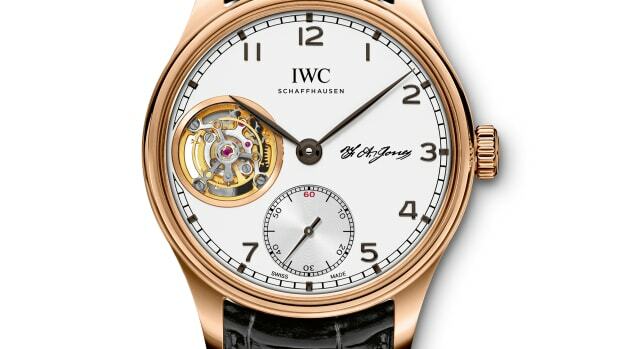 The company is the only Swiss watchmaker to be founded by an American.